Whether you have an urgent need for a new roof or your roof is too worn to properly protect your home, we can help. 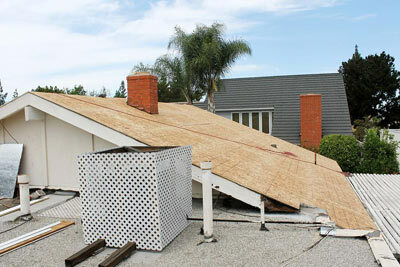 The top reasons for needing a new roof include leaks, wind damage, storm damage, and damage from fallen trees. A new roof can also increase your home’s value. If you are building a new home and need a roof installed, we can help with that too. For help with your roof repair or new roof installation needs, we recommend scheduling a free consultation, which includes a roofing cost estimate. Our expert roofing contractors can guide you through the process and make sure you get the best solution for your home. Our experts can help you choose the right shingle or roofing material to match the style of your home. Call us at 1-844-385-9654 or click below to request your free estimate today! We provide roofing services in Yonkers, Stamford, New Rochelle, Fairfield, Greenwich, Norwalk and surrounding New York and Connecticut areas. "I want to thank you for the great siding job that was done to my home, as..."
"I wish to express my satisfaction with the fine quality replacement front..."
By Karen And Demetrio E.
"Excellent decision to go with Double R! Tony & Maria were very..."
Excellent decision to go with Double R! Tony & Maria were very detailed, informative and thorough. Sergio and his team are very skilled, professional & reliable. They did an AMAZING job on our roof, sidings and windows! It was a pleasuring work with them. "I thought a note would be appropriate to let you know how happy Marge and..."
By Diane & Peter I. "We just wanted to comment on how pleased we are with the continued service..."
"Very thorough and informative sales presentation. Competitive price." Very thorough and informative sales presentation. Competitive price. "Mary and I are so pleased that we have chosen Double R to completely..."
"I commend the responsible manner in which you have conducted the..."
"I thought you might be interested to learn a comment made by an outsider..."
"Great reputation, referrals, and the immensely helpful presentation which..."
Great reputation, referrals, and the immensely helpful presentation which let us "see", both in pictures and verbal explanation, the choices available to us, the cost of options, and relative desirability of options. In short, a real help in designing the project. "Yesterday, Sunday the third, we had over two inches of rain, heavy at..."
By Ken & Lynn K.
"When we decided to undertake such a large renovation and repair project,..."
When we decided to undertake such a large renovation and repair project, we were a little worried that we had possibly taken on too much at one time, even though all the work was desperately needed. As you are aware, over the years we have had all our windows and storm doors replaced by Double R and were very satisfied with the service. After recently having our flat roof replaced twice in a period of 10 years by the original roofer, with the resulting water damage, we decided to give you a call. The workers not only had to remove the old roofs, but also had to build a sloping base for the new one. That job, along with the new seamless siding, gutters, chimney re-pointing, doors, deck and indoor ceiling repairs went extremely well. It was the little details that pulled it all together. All the workers were knowledgeable, hard working, reliable, and were able to coordinate their schedules so much of the work was going on simultaneously. We are very pleased with the quality of service your company provided and the easy accessibility of contacting you whenever we had any questions. Please feel free to show off our home to any prospective customers or use us as a reference. 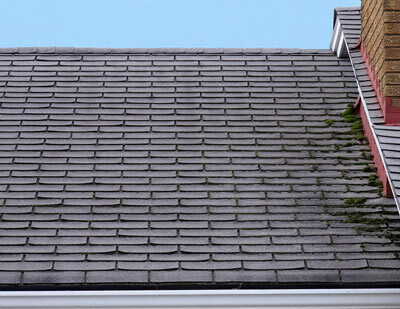 If your roof is old or you've noticed signs of a roof problem, we can inspect your roof to determine if it's the best time for a re-roof and provide you with a free estimate for the cost of a replacement or the services you need. Many Layers of a Roof Replacement. While replacing damaged shingles is inexpensive, the downside is that the replacement shingles may not match the existing roof. If you have more significant damage that is confined to one side of the roof, partial reroofing is an option but can cost more in the long term. If an asphalt roof already has two or more layers, all layers will have to be removed before completing the partial re-roofing. If your roof needs to be replaced, you’ll have to decide whether to install the new roof over the existing one or tear the old one off. A complete re-roof ensures that water-damaged sheathing will be found and repaired, preventing future issues. Our contractors will recommend the best options and provide a free quote for your project prior to beginning any work on your home. Ready to schedule your roofing estimate? Contact us today to schedule your free in-home consultation with a professional from Double R A Construction Corp. We are your expert roofing contractor serving Mount Vernon, Greenwich, White Plains, Norwalk, Ossining, Yorktown Heights, Scarsdale, and many surrounding areas.